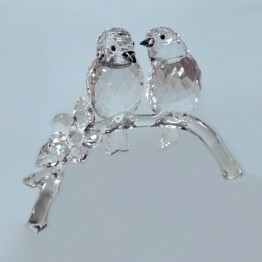 These white-eyes are made of clear crystal. 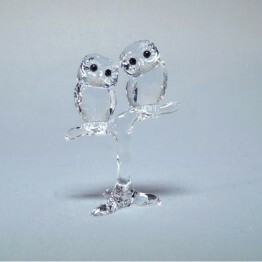 The flower is also made of clear crystal. They are sitting on a clear tree trunk.